As one of the largest Holocaust education centers in the United States, the Museum of Tolerance (MOT) has served close to 7 million people, reminding them to ‘rememberthe past, to rememberto act'. 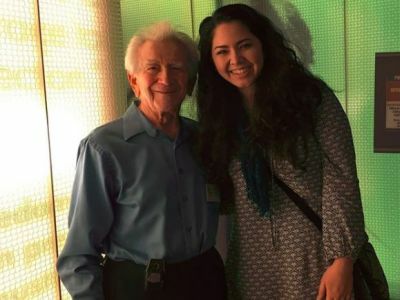 The MOT is the only place in the world that offers multiple daily Holocaust Survivor Speakers to audiences, as part of the Museum experience. Over 50,000 people per year meet and hear a survivor's live testimony. The impactis life changing. Holocaust Survivor speakers provide visitors not only the ‘living proof' of the past, but the stark relevance of their storiesto today. They embodythe human spiritthat neverfails to astonish and inspire. As thousands of thank you letters attest, these speakers are treasures in the city of Los Angeles and to all who meet them. But we are facing the last years of this precious opportunity. The MOT is undertaking the #HopeLives campaign to expand the number of people of all ages and backgrounds who will meet and hear a Holocaust Survivor in a live presentation - while we still can. 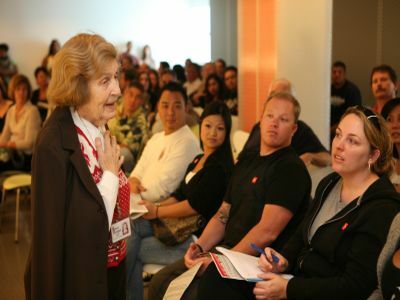 The multifacted Holocaust Survivors Speaker program includes presentations to school field trip groups, special youth programs, public visitors, professional development programs, as well as off site at schools, community centers, military bases, colleges and universities, and for incarcerated populations. Skype programs connect Survivors with remote schools across the country and around the world. Devoted MOT staff coordinate transportation, nourishment, birthday celebrations, get well visits, social events and ongoing support forthe distinct needs of this population.